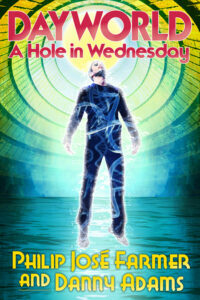 Purchase any edition of Dayworld: A Hole in Wednesday, by Philip José Farmer and Danny Adams (trade paperback*, hardcover, or both in their package deal) and we will refund $5 of purchase right back to you. This offer is good December 24th and 25th only. Watch this space for more Rebates through the end of the year! *Signed copies are still available!